This is a tutorial for the beginner who wants to improve the appearance and durability of the paint on their vehicle. It will cover all aspects of paint care from initial washing to day-to-day upkeep. Keep in mind that this is just a general guide to paint care. Different products require different procedures in order for them to most effective. When in doubt, use the manufacturesâ€™ recommendations on the back of the product. The user assumes all risks and responsibilities when using any of the practices mentioned below. It is suggested that the user use common sense when interpreting any of the practices found below. The very first thing you must do when working with your paint is to start with a clean surface. This requires that all the dirt, dust, road grime, mud, etc, be removed. This is something you do all the time, but have you ever thought about what you are doing to the surface of your vehicle. Soap â€“ No, I donâ€™t use Dawn dish soap. You should always use a soap made specifically for automobiles. Dawn and other household cleaners are far to abrasive to use on your paint. They will strip off the wax leaving a clear coat that is unprotected to the elements. The role of car soap is to help clean the paint and to provide a lubricant between the paint and the dirt to reduce scratching while you are washing. I use my own special brew of car soap and put it in the Dawn bottle. I could tell you whatâ€™s in there, but then Iâ€™d have to kill you. Boars Hair Brush â€“ The single most important detailing item I have ever used. This brush is used to wash the painted surface. It replaces wash mitts, rags, and sponges. The problem with these washing methods is that they tend to drag the dirt as you push them around. The boarâ€™s hair brush gently sweeps the dirt away and will only apply as much pressure as the stiffness of the bristles. What this does is, it washes away the dirt with minimal pressure, which leads to a reduction in micro-scratches from the dirt moving on the paint. Bug sponge â€“ When new, these sponges are very abrasive. I recommend using them on something other then your paint for a while until the netting softens up. Once soft, it provides a fast and easy way to remove bugs or other contaminates that the boars hair brush wonâ€™t remove. It will put very tiny scratches into the paint, but these can be removed or hidden by various methods. Use this sponge sparingly. Chamois & Cleaner â€“ A soft, clean chamois is an excellent way to dry your vehicle. Keeping the chamois clean is vital to reducing any scratching while drying. Itâ€™s best to use two chamois: a â€œcleanâ€� one for upper portions of the body, and a â€œdirtyâ€� one for lower portions and doorjambs. Itâ€™s best to wash a vehicle in the shade while the paint is cool. Fill up your bucket with the recommended amount of soap to water ratio. Too much car soap can strip the wax. Hose down the vehicle trying to spray off as much dirt as possible. Take your boarâ€™s hair brush and dip it in the bucket, wash a body panel, and then re-dip it in the bucket. Youâ€™ll want to repeat this procedure for the entire vehicle. You want to try and keep the brush as clean and soapy as possible. This will reduce scratching. You can also run your hand through the brush to help clean out any debris. Start at the front top of the vehicle and work your way to the bottom rear. After the vehicle is washed, spray it off again with the hose. Now take your bug sponge and clean any areas that didnâ€™t get cleaned with the boarâ€™s hair brush. Work quickly so that the water doesnâ€™t being to dry on the vehicle. You can keep it wet if need be. After the vehicle has been cleaned, spray it off once more. Chamois the vehicle from the top to the bottom. Keep washing your chamois out incase in picks up any dirt left behind. If you find an area that you missed, go back and wash it, donâ€™t try and chamois it clean. Itâ€™ll only scratch the paint and get your chamois dirty. Once the vehicle is dry, proceed to Section 2. Now that your paint is clean, itâ€™s time to take a look at it and see what condition it is in. This will help you to decide what steps you need to do in order to correct and protect it down the road. Look at your paint in several different lights and angles. Chances are that you will see the years of abuse reflected in the clarity, or lack there of, of the paint. Listed below are 3 common scratches found on paint. Figure 1.0 shows scratches from a rotary style buffer. These are uniform scratches from an improper polishing job. If you have had your vehicle repainted or â€œprofessionallyâ€� detailed, you may see these types of scratches. Figure 1.1 shows scratches from washing your vehicle. These are formed when a wash mitt or similar device is used and pushes the dirt instead of lifting it. They are similar to the scratches from a rotary buffer, but the main difference is that they are not uniform. They are generally random as you use a random pattern when washing your vehicle. Washing a vehicle properly can reduce these types of scratches to almost none. Figure 1.2 shows a spider web type of scratch. If you look at the reflection of the sun in your paint you may see a circular set of scratches radiating out from the center, much like a spider web. Theses are formed after many years of everyday abuse to the paint. If properly taken care of, they can be reduced or eliminated. The good news is that all of these types of scratches can be removed and prevented. Figuring out what type of scratches you have and how severe they are, will help you to choose the most efficient way to remove them. After evaluating your paint, youâ€™ll probably notice some fine bumps or roughness to your paint. This is dirt, deposits, acid rain, etc. All the elements that fall out of the sky and stick to your paint. Washing wonâ€™t remove them. Polishing can, but this debris once removed can scratch during the polishing process. Probably the best way to remove these deposits, is with a clay bar. Paint Cleaning Clay â€“ The clay, when rubbed on your paint with a lubricant, will pick up these deposits and embed them in the clay, all while keeping scratching to a minimum. There are several different grades of clay. Some work more efficiently then others, but can be harsh on your paint. Itâ€™s best to go with a medium to gentler grade of clay. Micro fiber Towel â€“ Used to dry the Speed Shine. Micro fiber is an excellent material due to its incredibly small fiber strand and ability to lift dirt off the surface of your vehicle. 100% cotton is also an acceptable cloth to use on a painted surface. Work a small section (approximate 2 square feet) at a time. Spray a good coat of speed shine on the section. Take a piece of clay and roll it into a ball. It should be about the size of a golf ball. Place the clay on the vehicle and begin to rub. The clay should glide across the surface. You may feel some friction if your paint is really dirty. Excessive friction is usually caused by not enough lubricant. Work the section until the paint feels smooth and clean of debris. If the clay is getting dirty, fold the clay in and roll it back into a ball. You should be able to do the entire vehicle with this one piece of clay. If you should happen to drop it on the ground, Throw It Away. After you are finished claying, dry the vehicle off with the micro fiber towel. The Speed Shine should buff off very easily and leave you with a smooth surface to polish. Now that you have clayed the vehicle, the surface should be smooth and ready for polishing. Polishing is removing a very thin layer of clear coat to eliminate the various scratches. Polish doesnâ€™t add anything to the painted surface, it only removes the bad stuff. There are different grades of polish ranging from abrasive to gentle. Choosing the right starting point will allow you to polish the vehicle more efficiently. Porter Cable 7424 Random Orbital Buffer â€“ This is an easy to use, reasonably priced, buffer for correcting minor problems in your paint. It uses a random orbital pattern so that you wonâ€™t induce any of the buffing trails that are associated with rotary buffers. It uses a Velcro pad mounting system for quick and easy switching of pads. It has a variable speed so that it can be slowed down for the beginner and sped up for advanced. I along with most others, highly recommend this buffer. Polish grades 1-3 â€“ Polish is what you will use to remove a very thin layer of clear coat. #1 Polish is the most aggressive with #3 being the gentler. Always work your way up through the polishes. If you have to start at #2, make sure to follow up with #3 to remove the scratches caused by #2. Another quirk with polish is that is must be applied long enough for the particles to break down. As these particles break down, they will remove the micro scratches caused from the initial polish. Patience is important when working with polish. Micro fiber Cloth â€“ An excellent way to remove the polish. 100% cotton can be used as well. Speed Shine â€“ If the polish should happen to dry and be hard to remove from the surface, spray a little Speed Shine on and buff off . First you need to determine what grade of polish to start with. You only want to go as low as what you need, but at the same time you donâ€™t want to have to back track if the higher grades of polish arenâ€™t removing the scratches. Only experience will help you select the right grade of polish to start with. If this is your first time using this system and your paint has its share of scratches, Iâ€™d start at #1. Preload your pad with a little polish. Spread to the polish around on the pad to help soften up the foam. Put a drop of polish about the size of a quarter on the panel you are working on. You can probably do about 2 square feet with this much polish. Spread the polish around with the buffer off so that it doesnâ€™t sling when you turn on the buffer. Set the buffer to a speed of 3 and turn it on. Move the buffer slowly around the edge of your section area. Only use the weight of the buffer, there is no need to push down on it After you have all 4 sides done, work the center back and forth like you would cut grass. After you get the polish spread across the entire panel, go back over the panel at a 90 degree angle. Again, go back and forth as if you were cutting grass. Youâ€™ll want to make 4 passes over the panel, two in each direction. This will insure the polish has broken down enough and the entire panel got polished evenly. You can then remove the polish with the micro fiber towel. Buff off the polish. If you used too much polish or if the polish has started to dry, you can spray on some Speed Shine to help soften the polish up and buff off. Proceed to do the entire vehicle like this. When finished evaluate the paint to see if you can move onto the next polish. If so, put on a fresh orange buffing pad and repeat the process with the next grade of polish. Continue until you finish with #3 grade polish. You should now have a 95-100% micro scratch free surface. The remaining ?% can be hidden up with waxes. The hard work is now done. Youâ€™ve removed all the years of abuse on your paint. Now itâ€™s time to protect it and make it shine with a coat of wax. Unlike polish, wax leaves a protective layer on the paint. Because of this, it wonâ€™t remove any scratches, but it can hide some. There are many different types of waxes on the market. Choosing the right one and applying it correctly will insure a good protection along with a deep shine. Porter Cable 7424 Random Orbital Buffer â€“ An excellent way to apply wax based on the reasons listed above in the polishing section. Best of Show Wax â€“ My favorite wax. It has a high percentage of carnauba in it for a deep shine. It is a little tough to remove, but if applied properly can produce wonderful results. This wax is recommend only if you strip off all your old wax. The manufacture warns that hazing can occur if applied over synthetic waxes. 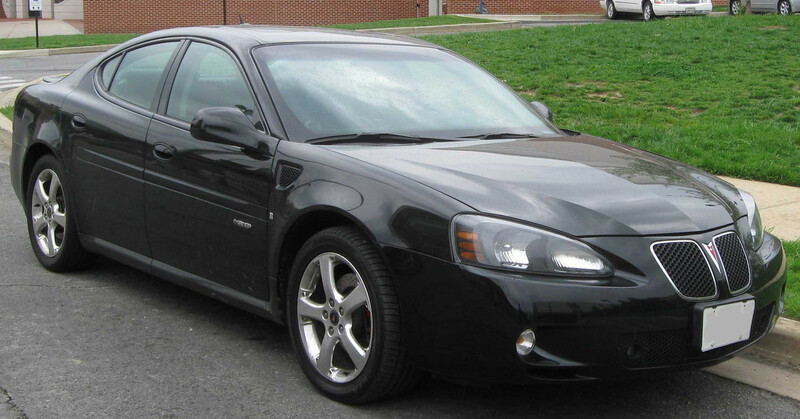 Wax will fill in and hide some small scratches, but when washed these scratches will start to reappear. Red Waxing Pad â€“ Much softer then the orange polishing pads. Spreads the wax evenly and effortlessly. Can be cleaned with soap and water when finished. Micro fiber Towel â€“ Once again, an excellent choice for wax removal based on the above reasons. Preload the red wax pad with some wax, a little goes a long way. Put a quarter sized drop of wax on the section you are to be working(the same 2 foot square section). Youâ€™ll want to use the exact same procedure that you used while polishing. Set the machine to speed 3. Pay special attention to laying the wax on evenly, so you donâ€™t end up with stripes. After you have made your 4 passes, let the wax â€œset-upâ€�. This will vary on atmospheric conditions, but a good rule of thumb with this wax is 1-2 minutes. After it has set-up, buff off with a micro fiber towel. If the wax has become to dry, you can spray on a little Speed Shine and buff it off. Wax the entire vehicle with this method. Sometimes it seems like the world is out to get you. You just finished all that hard work and itâ€™ll only go down hill from here. But, you can slow this process down with the proper maintenance program. California Car Duster â€“ I think just about every one owns one of these. Using it properly and keeping it clean are important though. Donâ€™t let your friends borrow it, god only knows what they will do with it. Meguires Quick Detail â€“ Behind the boars hair brush, probably the most important detailing product I have. Touch up a spot at a car show, remove bird droppings, the list is endless. Micro fiber Towel â€“ By now you should know, buy a lot of these. If the vehicle isnâ€™t too dirty, you can drag the duster across it. This is meant to pick up dust, nothing more. Use a car duster for this and not a towel. A towel will simply push the dust around while the duster will pick it up and lift it off. A good wax job will make the process even easier. After it is dust free, you can look at the paint at different angles and use the quick detailer to remove water spots or hide micro-scratches. Simply spray on and buff-off. If use quickly enough, it can even be done in the sun, although itâ€™s best to do it on a cool surface. It helps to prolong that just waxed depth and shine. Conclusion: I hope that you found some of this information useful. There is no one perfect way to clean a vehicle and/or protect its paint. So keep in mind that experimenting with new products or different procedure may lead to more efficient and effective means. Almost all of these products can be purchased through Griots at www.griotsgarage.com. Similar products can be found online or at local stores. Awsome write up. You should have a PM in a couple minutes. This guy is good......really good!!! this is gonna be handy this summer. i already knew i needed to invest in a bunch of paint care supplies since i finally have a truck with shiny paint! now i will know how to use them! are mothers and meguires* good cleaners, waxes, solutions, etc?????? I've used a lot of meguires products in the past and still use them today. I've always been happy with the results. I think with a lot of the name brands, it's not so much what you use, but how you use them. Any advice... for a flat black, with flat clear coat? Can't help you on that one. Nice write up man. As a detailer myself you hit all the right things. Griots is an awesome product. Good job! Wow some really helpful info. My paint needs some attention. Past owner never washed it hardly ever. question? whats is the best better type of hose/water pressure to use? presserwasher, straight hose,shower nozzle,or hose nozzle? My truck is getting fresh paint and body work...its in the shop right now.Any advice for when I get it back? Location: The good ol' Keystone state. Last edited by Deja_Vu969; 04-06-2010 at 07:34 PM. well presented, but depending on how particular you are about your paint, the california car duster actually puts swirl marks in your paint. i would just suggest a clean microfiber rag. u can get a huge pack of them at costco for cheap or even off of ebay. For my paint I use Dryve superhydrophobic spray - makes the surface water repellent and hard for mud and dirt to stick to. Some of the finest TOOLs. A bit pricey, the choice of paint/repair professionals. You now have the ingredients for the recipe. Use at your own risk & good luck! Follow that clay bar with a sealant or wax & you will be amazed at the slickness. Someone told me you can use a cleaner wax to get off the debri. So you would wash, dry, cleaner wax, rinse, dry, then put on a final protection wax. Wash, bug/tar remover, claybar, polish, wax. Surf City Garage has a new way to do the clay thing that is a lot easier and faster if you want to check it out. I just started using their products and very happy so far. Griots has a clay bar mitt/glove that supposed to make it easier...but at $50... I'm to lazy to clay bar. Probably to early down there in snow land, but I think the Boyds are going to get a polish and install this week. You talking about this? Get 15% off from them if you use code SCG15. Give us an update after you use it. Best I could find was $22 with $3 coupon = $19. Figured what the heck I'll try it. Claybars are so slow. There was one from Pepboys on ebay for $16.80 but it looked like an older kit. Probably trying to clear expired inventory. It had Zillajuice Detailer instead of the Wipeout Eliminator that was included in every other kit. Probably don't make much diff. Saw one review where the guy said he used it in place of a was mitt with just water to eliminate an extra step. Might try that. BTW this is for my Corvette and LS4 GXP, not my rusty S10's. They get washed when mother nature thinks it's time. There stuff is nice, but too pricey for me. Griots has a clay bar mitt/glove that supposed to make it easier...but at $50... I'm too lazy to clay bar. Probably too early down there in snow land, but I think the Boyds are going to get a polish and install this week. Fixed ^^. I think we are done with snow, but still dealing with the damage from the last storm so not doing much car stuff yet. That tree made a mess of my front yard! Not covering everything like I thought. will not cover damage caused by roots so sidewalk, sprinkler system and some of the landscaping is out of my pocket allongwith $500 deductable. I have a guy coming by Saturday to estimate the sidewalk. Just when I thought I was going to be able to get my 17 inch wheels and tires. I let you guys know how it works when I’m done. I wouldn't use it...who knows how many times it's been on the ground or been used on a mud truck. I always spray it off real good with the pressure wash before using it in my vehicle. I learned this the hard way after ruining the paint on my first new black truck. 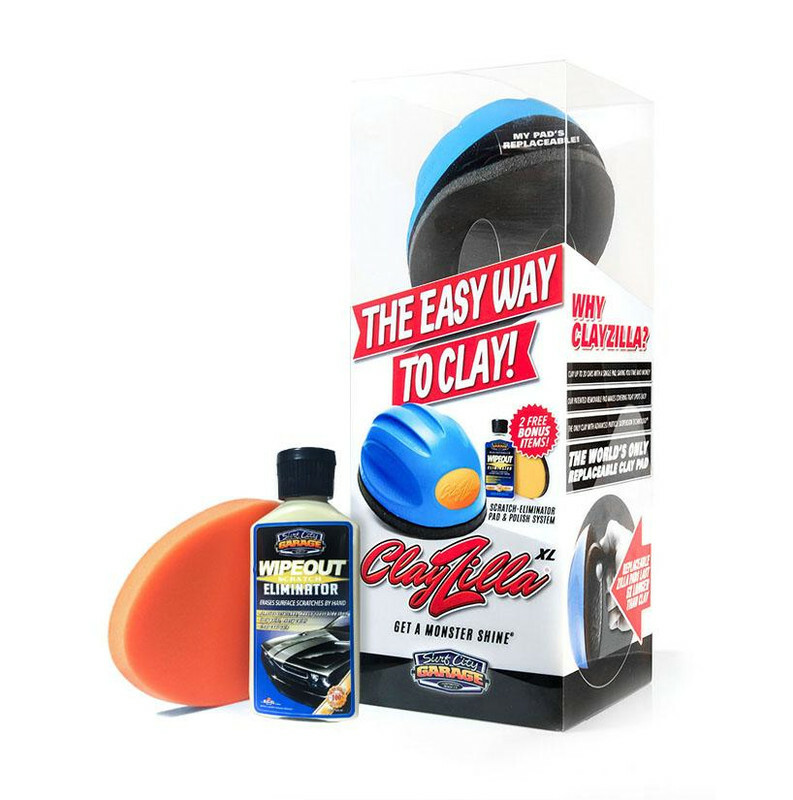 hey @goes2fast just opened my clayzilla today and it didn’t come with the zillaspray. It came with the clayzilla, wipeout eliminator, and the wipeout eliminator pad. Did yours come with the spray or do I need to buy it separately? On a side note. Im waiting for the rain to pass before I do the wash/wax. @oldeerslayer I got the pepboys one. It fits the budget better. I’m not sure if it was such a good idea now. Hahah. Did yours come with the spray? [QUOTE=Yowakawaka;12182679]hey @goes2fast just opened my clayzilla today and it didn’t come with the zillaspray. It came with the clayzilla, wipeout eliminator, and the wipeout eliminator pad. Did yours come with the spray or do I need to buy it separately? I haven't bought mine yet, but I think there are 2 different options for how you can get the kit. Finaly got to use the Clayzilla. To answer my own question, it does not come with the Zillaspray. I ended up using a Turtlewax brand detailer. Overall, the Clayzilla works great! The only downside is that it doesn’t fit into small crevice or bend well to steep groves on the truck. It’s more stuff than I thought it would be. As for it removing contamination, you could really feel the difference after using it. As someone who has never used a clay bar, I can’t comment on the time difference between the tow. I was at the car wash for like 3 hours washing, clayzillaing, and waxing, and vacuuming. I would definitely recommend the Clayzilla.